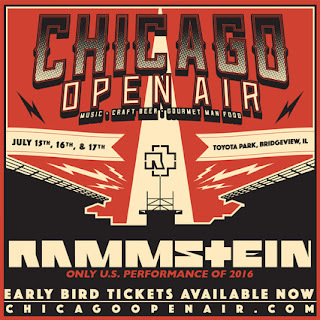 "Rammstein is an act that is headlining major festivals all over the world,” says Chicago Open Air producer Danny Wimmer. “I’ve been trying to get Rammstein here for years and I couldn’t be more ecstatic to launch Chicago Open Air with them. If you’ve never seen Rammstein LIVE before, you are in for a real treat."